Building on his knowledge of the habits of the hive and of the threats confronting the beekeeping industry, Jean-Pierre Mercader has designed the Bluebees Board. 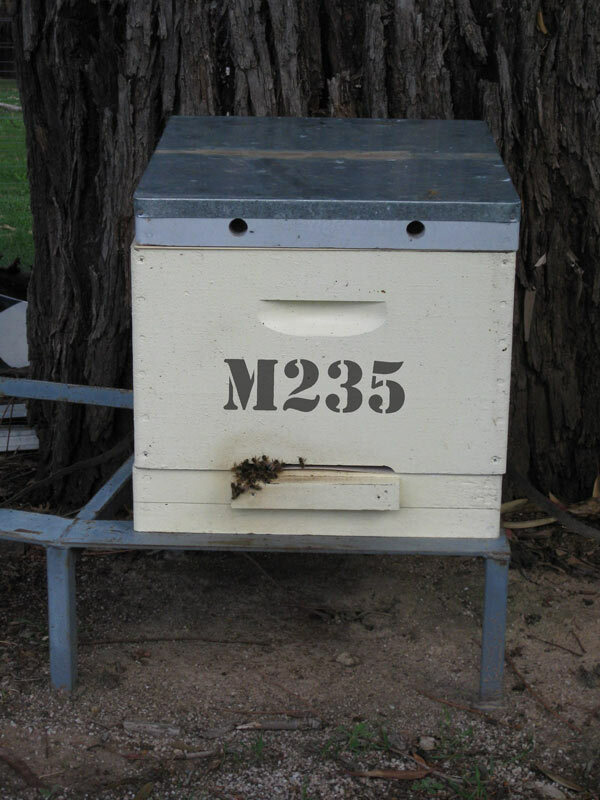 The introduction of the Mercader’s Bluebees Board in 2012 is the first successful major design alteration since the 1851 Langstroth’s Brood Box as we know it. The Bluebees Board will no doubt assist beekeepers and honey bee colonies’ survival strategies, thereby giving a new lease of strength, and ultimately life, to honey bee colonies against terrible pests. 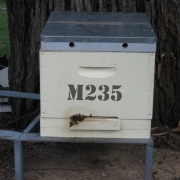 The Bluebees Board encourages and assists the bees to hunt and eject from the hive, through the slots, parasites and other debris, resulting in contented honey bee colonies in clean hives. 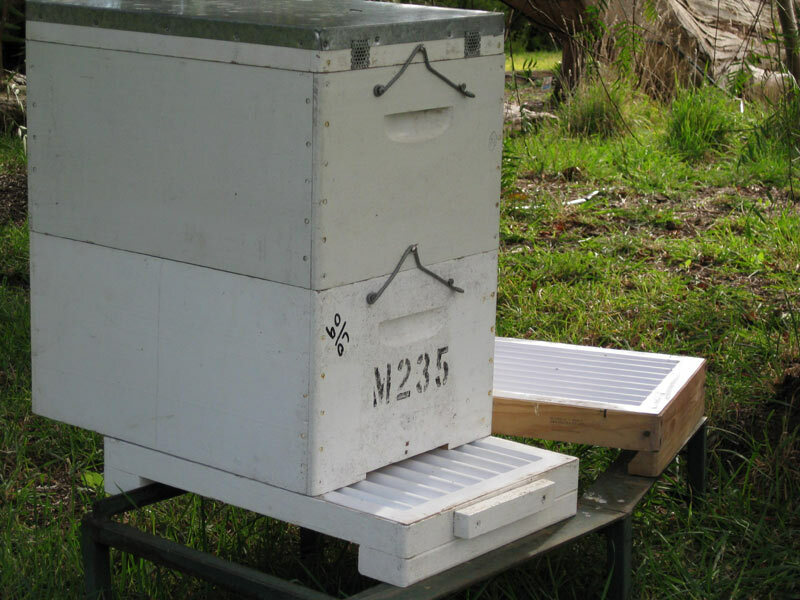 J P Mercader invented two sizes of the Bluebees Board to fit the standard eight and ten frame hives. 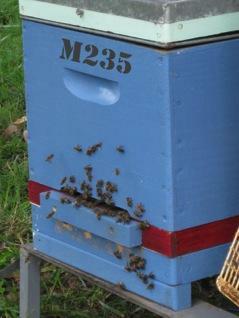 Solidity: the bees will not escape, as the Bluebees Board resists buckling due to its design. It is made of food quality material. 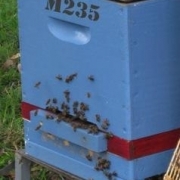 Existing boxes are easily modified: the traditional brood-box’s, wooden or metal, bottom is removed, leaving the bottom frame, on top of which the Blubees Board is placed. A new entrance is then cut to the bottom edge of the brood-box. No other modifications are required. Enables: the bees to hunt and expel through the Bluebees Board slots parasites such as SHB, Wax Moth and Varroa Mites (should they enter Australia). Results show that the majority of all debris is removed by the bees from the Bluebees Board hives. The bees optimise the cleanliness of the entire beehive (brood or super boxes). 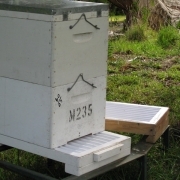 The Bluebees Board allows honey bee colonies to live with, and effectively control, invading parasites. Visual Assessment: beekeepers can easily see underneath the brood boxes to identify any signs of invading pests and that the bees are successfully controlling them. Eliminates: unnecessary opening of hives with no visual signs of distress or invading pests. Beekeepers will save physical labour and time. The colonies of bees will not be disturbed unnecessarily. Easy maintenance: of the soil underneath and around the hives as a preventative measure, and when necessary, the application to the soil of products harmless to bees and honey. It encourages beekeepers to keep their working hives above the ground at a suggested minimum height of 7.5 cm. Usage: of trays under brood boxes to allow for inspection and identification of any pest invaders and debris removal. Time efficiency: beekeepers are able to use their precious time more efficiently. Some laborious methods of pest identification may become obsolete. Efficient moisture reduction: Bluebees Board effectively reduces the condensation in the hives. SHB eggs are vulnerable to dryness. The reduction of condensation / humidity in the hive will help to achieve a tangible reduction in the survival of SHB eggs. Ventilation: improved airflow allows dryness and cooler temperatures to be maintained during hot summer periods, whilst having no impact during the colder seasons. Clean air: bees easily expel fouled air from their hive, thereby maintaining a healthy environment within. Hive entrance height: can be reduced to minimise foreign bees robbing during food shortages. Notice: The Bluebees Board is protected world wide by the Australian Federal Government (Design Act. 2003) IP Design 14221/2010 & 14222/2010. Extended til 2020. For any queries please contact Jean-Pierre Mercader by email jpm@bluebees.com.au or phone 0412 451 060.